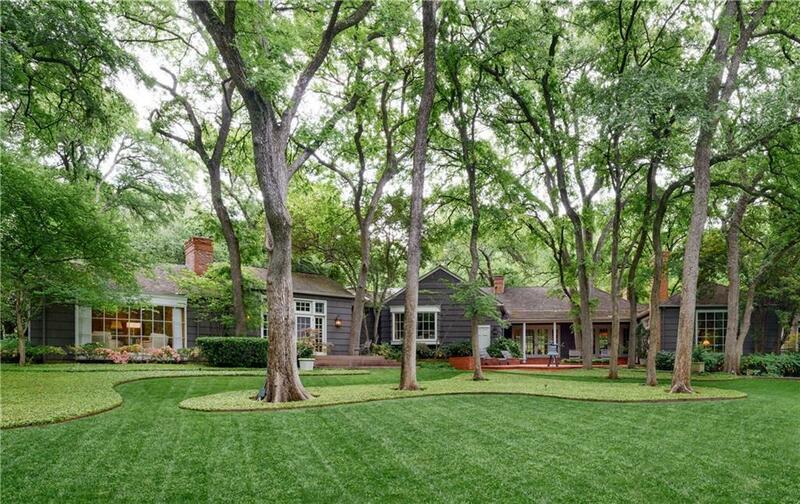 Tucked away on a secluded cul-de-sac in Old Preston Hollow, this 1.465-acre tree-covered estate built in 1949 and updated over the years by renowned architect George Sebastian overlooks Bachman Creek. The 7, 358 sqft single-story residence appointed by Emily Summers Design Associates boasts an oversized master with adjacent study and dual master baths. A sky-lit, hexagonal breakfast room connects the kitchen to an oversized den featuring hidden temperature-controlled wine storage. Large additional den with such details as a sunken bar and wood-paneled ceiling opens to the entire rear of the property as well as a heated pool. 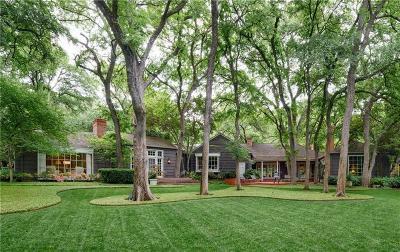 A true secluded estate in one of the most coveted areas in Dallas!